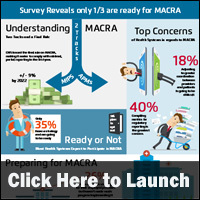 Only 35 percent of health systems have a MACRA strategy and are going to be ready to participate, according to a new infographic by Health Catalyst. 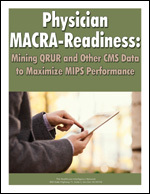 The infographic examines the top MACRA concern, preparation levels and potential benefits. » Infographic: Who is Your Healthcare Customer? This entry was posted on Friday, April 21st, 2017 at 1:30 pm	and is filed under Infographics, MACRA, Physician Practices, Value-Based Reimbursement. You can follow any responses to this entry through the RSS 2.0 feed. Both comments and pings are currently closed.